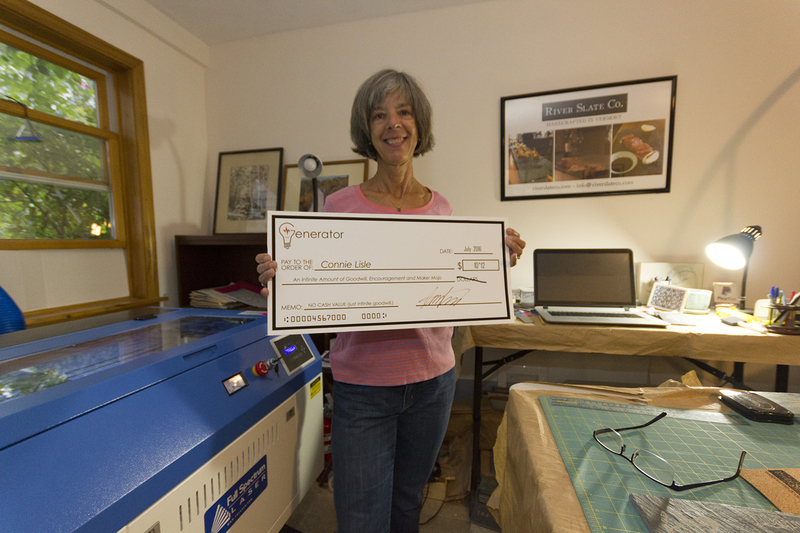 Thanks from the Maker Space in Burlington, VT – River Slate Co.
A big check of good wishes and encouragement from Generator, in Burlington, Vermont, upon my successful growing business and the purchase of my own laser engraver! 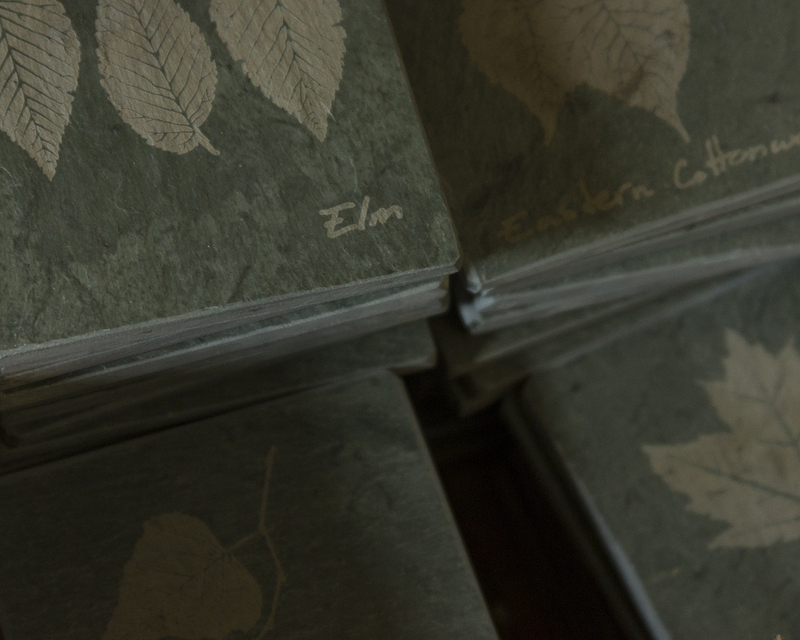 I had been working on the idea of etching designs on slate for a couple of years, but was not sure how to do it. I tried sandblasting using stencils, but that didn’t work. The detailed designs I wanted to do required delicate stencils which broke under the pressure of sandblasting. I heard about laser engravers and thought that might be the way to do it, but didn’t own an engraver. 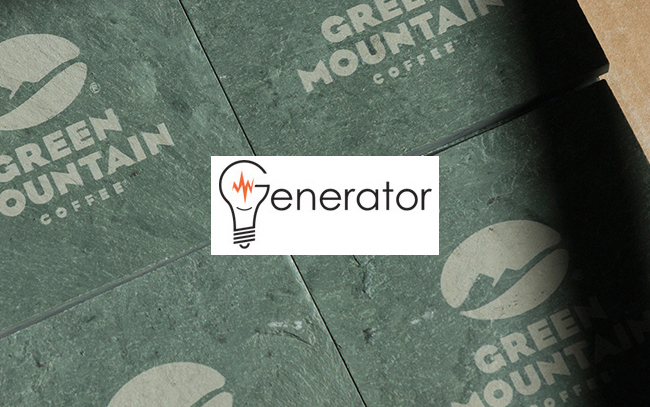 Then in the winter of 2014 I heard about the Generator opening in Burlington, Vermont. The Generator is a Maker Space, a place where high tech equipment such as laser engravers, 3-D printers, electronic equipment, wood and metal shops, and jewelry making equipment are available to the community to encourage entrepreneurs to explore new technologies, make connections, and potentially, develop small businesses. It sounded like a perfect place for me. 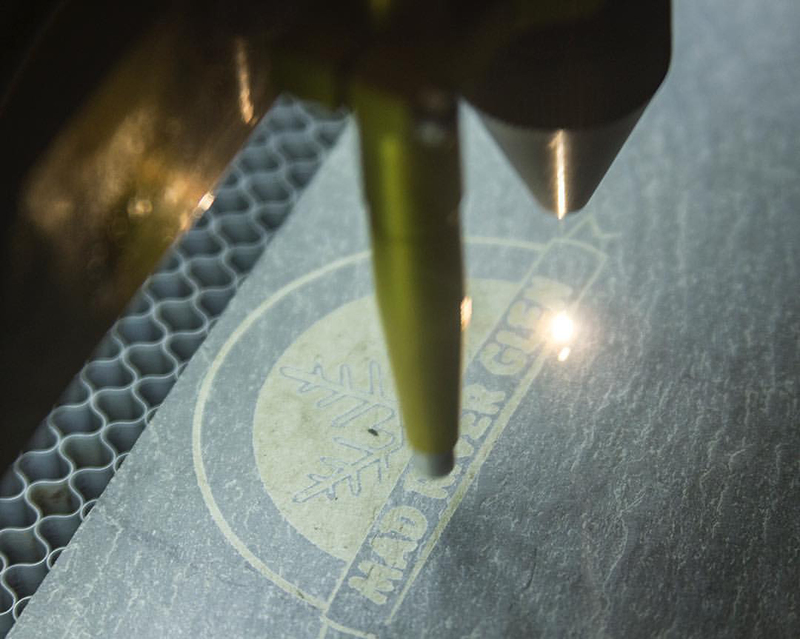 I became a member in the fall of 2014 and had the opportunity to learn how to use a laser engraver and explore using it to engrave slate with detailed designs. In addition to use of the equipment, there was an incredibly supportive community of people to answer questions and encourage me to start a business. Riverslate Company was born. Thanks, Generator! River Slate Co. laser test from Connie on Vimeo.